Devi Seafoods IPO is one of the upcoming IPO drafted with SEBI. In this Article, we will do a detailed review of Devi Seafoods IPO. Other than review, we will look into some of the important aspect of this IPO like IPO Object, Allotment Status, IPO issue details, Company background, Companies financials, IPO release date, IPO price band, Grey market pricing & more. Devi Seafoods is one of the largest exporter of seafoods in India. Devi Seafoods IPO is one of the three IPO drafted with SEBI from Indian Seafood Industry. Ths IPO was drafted in March 6, 2018. 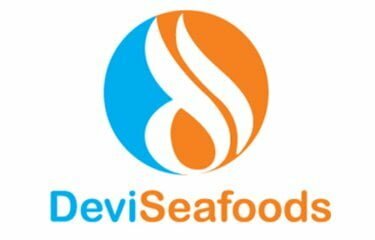 Devi Seafoods Limited has hired 3 lead managers i.e. Axis Capital Limited, ICICI Securities Limited & Kotak Mahindra Capital Company Limited. These 3 lead managers will take all the responsibilities of this IPO. Karvy Computershare Private Limited is the Registrar of the Offer. Devi Seafoods is one of the leading producer of processed shrimp and shrimp feed headquartered in Visakhapatnam, Andhra Pradesh. For fiscal year 2017, Devie Seafoods was the second largest exporter of shrimps from India in value terms and they have also received awards from MPEDA for two consecutive years (fiscal years 2016 and 2017) for being the second largest exporter (in value terms) of seafood as well as for frozen shrimps from India. Companies IPO issue date has not been released yet. IPO release date has not been announced yet, once the IPO is released we will start posting the subscription numbers on daily basis. The allotment status of the Devi Seafoods IPO will be out post 3-4 weeks of IPO subscription. The price band of devi sea foods IPO has not been out yet. This will out soon & we will update the same. The IPO Issue Size will be close to INR 900 – 1000 crore. The Seafoods Exporter has not declared the number of shares they will release for public offerings. Once, this will be updated soon. Devi Seafoods Limited is one of the largest exporter of Processed shrimps in India. The Seafood exporting company is headquartered in Vizag, Andhra Pradesh. Devi Seafoods Limited has their own processing plant, aquaculture farms & shrimp hatchery which gives them full control over the entire supply chain. The Seafoods Processing & exporting company is always ready to adopt any new technologies required for shrimp processing of global standards. Devi Seafoods Limited has their presence in the shrimp business since more than 2 decades. Devi Seafoods Limited has seen a massive growth in last 5 years. The company has grown at CAGR of 30% year on year. While overall growth in past 5 years is 3 times. Such massive growth in highly appreciable & it is a good sign for the Investors. The Promoters are interested in our Company to the extent that they have promoted Devi Seafoods Limited. Their interest are subject to their shareholdings in the company. Promoters have no interest in any property acquired by the Company during the two years preceding the date of this Draft Red Herring Prospectus, or proposed to be acquired, or in any transaction by the Company for acquisition of land, construction of building or supply of machinery. The Equity Shares offered by the Seafoods giant has not been revealed yet. This will be released after approval of draft prospectus by SEBI. The offer price of Devi Seafoods Limited IPO will be decided by mutual consent of promoters of the company & BRLM associated with the Company. The face value of the offer is Rs.2 per share. The offer price of the IPO will be released before 1 day of the issue of the share. The Grey Market Pricing of Devi Seafoods IPO will release before 2 weeks of IPO issue date. The Kostak rates will also go live within 2 weeks of IPO. Fill your details & Start you IPO Investment Now! Still Confused! Fill your details & Get Free Consultancy Hurry!! !